Thai Airways will reduce its flights to Australia over the coming six months, affecting services between its Bangkok hub and Sydney, Melbourne and Brisbane, with Perth passengers also in for an aircraft swap during the same period. In a memorandum sent to Australian travel agents, the airline attributed the changes to “aircraft rotation and maintenance requirements”, taking place during Thai Airways’ 'northern winter' scheduling period, which runs from October 28 2018 to March 28 2019. Currently with 11 return Boeing 747 flights per week, Thai Airways’ Sydney service will move to daily from October 28, preserving flights TG475/476, but with Sydney’s afternoon departure (TG472) and the morning service from Thailand (TG471) being suspended. Melbourne currently enjoys double-daily Airbus A350 flights from Thai Airways, but this will move to 11 weekly return services from October 28. All Melbourne flights will continue to be served by Airbus A350-900 aircraft. Brisbane travellers are the hardest hit by Thai Airways’ changes, with the airline moving from a daily service to just four flights per week as of late October. Thai’s afternoon departures from Brisbane will be maintained on Mondays, Wednesdays, Fridays and Sundays (TG474), as will overnight Bangkok-Brisbane flights departing on the same calendar days (TG473). However, Thai’s daytime flights from Bangkok and overnight flights from Brisbane on the other days of the week will be paused, as below. On the upside, Brisbane will continue to see the airline's Boeing 787-8 Dreamliners on every flight. While Perth’s existing flights will remain daily, they’ll no longer be served by Boeing 787-8s: instead, by Airbus A330s. A Thai Airways spokesperson shared with Australian Business Traveller that this is due to the upkeep of its Boeing 787 fleet, specifically, having an “Aircraft on Ground (AOG)” during the upcoming northern winter period, to allow maintenance work to be performed. Passengers booked on Thai Airways flights that have been cancelled or rescheduled can be rebooked onto an alternative Thai Airways flight at no charge, or may be able to request a refund from Thai Airways or their travel agent if the new flight schedule and alternative flight options don’t suit their needs. Apart from the below par older generation of Business Class on their Boeing 747-400 out of Sydney, the connections times to Europe are now terrible. Thai is definitely going to lose a lot of business with this move. As a Business traveler they are no longer worth it compared to the competition out there. From once operating 3 frequencies a week out of Sydney to now just one? This is just appalling. How long is it until Sydney is once again severed by another reliable star carrier! Over capacity, it's as simple as that. Chris_PER, is that a general comment re the 'Kangaroo route' (including OD traffic to and from Thailand), or are you specifically referring to TG? Not from BNE. I go at least monthly and end up in SG a lot because of no availability. Blocked seats for crew doesn't help. I visit TG all the time. The real reason is the well known RR Trent 1000 engine issue on the B787. Thai changes their scheduling to Australia more frequently than the wind! Having said that, their reward availability is quite good, so the unpredictability in their scheduling may be worth it for some business travellers. I could never understand the TG mentality in maintaining 744 service ex SYD. The aircraft are tired and seats uncomfortable. I stopped flying TG because of this. They've always hung on to aircraft for a long time. I remember flying on one of their ageing MD-11's when everyone else had long since retired them. Flew BKK-SYD in a MD 11 may years ago. The old 747s with out of date business class seats. I used to fly them a lot but stopped. Unfortunately the airline has been in decline for a while. Business class seats on their 747s are out of date, uncomfy, nearly impossible to sleep without falling down to the floor and should be sold as premium economy class instead. However, I, myself, prefer 747s between Syd and Bkk because they still have First Class suite which I often enjoyed it when I get bored of EK First. This will hammer star alliance award space ex Syd as Thai always had the largest availability and whilst the 744 features a dated J product the F was always the sweet spot with quite a good chance of award redemption. I’ll miss the F lounge in BKK. @skippybear TG uses the 744 to SYD because of slot restrictions in SYD. They need to put their biggest aircraft on that sector to maximise bums-on-seats and to meet demand. I often wonder what TG's senior management team is thinking... a mis-matched fleet with many varieties of aircraft, last-minute aircraft substitutions a plenty, often bizarre scheduling for flights, very little consistency with their soft product, and fares that are often way more expensive than other carriers that feature a much more modern offering. It's sad - TG used to be such a wonderful airline and a first choice for many travellers. They've been left behind in a big way and don't seem to know how go dig themselves out of a rather large hole that they find themselves in. Agree with your comments...however their A380 would be their biggest bird. I was young at the time but vaguely recall how in the late 70s and 1980s TG was one of the bigger foreign airlines on the Kangaroo route. They used to advertise a fair bit, but now don't appear to. Yet their planes are a lot more on time than Qantas'! It's very late notice, but other airlines also do this. I assume passengers just get moved onto the flight(s) that will still operate: too bad if one misses a connection, or has some urgency with the travel but cannot depart the day before. Will this allow Qantas and others to push fares up to and from Bangkok? I have a reward flight booked with Krisflyer miles through to Europe on one of the cancelled services. What do you think the options will be? (The earlier flight doesn't really suit). Does anyone have any experience of SQ moving me to their metal, or another carrier - or more likely to me moved to the earlier Thai flight? TG should have put you into the next available flight already but may cause misconnection. You can request TG to put you on an earlier flight but will require KF to reissue the ticket. TG maybe reluctant to do it and ask you to contact SQ as the ticket is issued by SQ. You might stress that it's TG that messed it up and they should help out by putting you on an earlier flight in order to make the connection. If no luck you will need to contact KF. Worst comes worst you'll need to ask KF's star alliance liaison officer to negotiate with TG. If you want to change to SQ, if award space is available on their metal, there shouldn't be much problem in changing to theirs for free (except some minor tax difference.) If no award space available it'll be a bit more difficult. The revenue management may open up a space for you purely as a gesture of good will but chances are they won't open for you. KF may try to look at alternative awards to get you to your destination but it would be easier if you look up yourself. I wonder whether Thai Air Asia X will see this as an opportunity to launch flights ex-DMK. They had talked about Australia a few years back but to date have only gone north. Yes, please! Can the A320neo do SYD/DMK? THAI’s B747-400 fleet are not very old actually. Most of them were delivered after 2001. The service expectancy is around 20 years. Yes the product is old but they have retrofitted most of the fleet with new seats now, although some still has the old seats. There’s a market for F class in SYD and while A380 also has F class the B747 carry significantly more cargo volume compared to the A380 so B747 is the most logical choice to fly to SYD given a restricted slots allocation. A bunch are sold. The rest will be sold once the 787 issues are over. They just won Skytax's best Economy Class 2018 and Best Economy Catering so they're doing OK with one segment of the market. Unfortunately this probably tends to reinforce some of their strange actions. Like bussing to/from the terminal in BKK way too often. And swapping out planes way too often. And having dismal lounges in BKK. But the Thai government has been on their backs for a while as they continue to bleed govenment money. Haha, Skytrax has no credibility whatsoever. Winning a Skytrax award only proves an airline knows how to write a cheque. Bne market (SE Asia) gets back to year 2015! TG 4 weekly, MH 4 weekly! SQ is the only one add capacity! I’ve done a LOT of miles in J on Thai. The new(ish) hard product is very good (even regional version on the 788) and soft is improving, though still more inconsistent than it should be. Usually the problem is down to crew. I find the older FAs (men and women) can be quite abrupt and slapdash, although I also find that being super polite and respectful to them usually results in much better service. The airline can hardly be blamed for airbridge issues at BKK. It’s an airport problem: traffic has outgrown the facility. I’m not surprised that they’re reducing services. Every man and his dog does Australia to Bangkok and Phuket these days, most of them LCCs. The competition is fierce and TG has never been one to get into fare fights. What I really don’t like about Thai is the rubbish website and rubbish app, and the outrageous J fare structure for many regional services (almost as bad as QF domestic J prices). My wife and I now flying 4 times a year to Syd to Bk. The morning flight back to Syd really suited us. Hope that schedule does return as promised. The old 747 400 are getting tired , hopefully we might get nice replacements. Then again they are not the only airline flying Syd / BK so might look at other options. Maybe a follow-up article is needed, Chris. The reduction of TG services to Australia is now not limited to the northern winter season. I just looked at booking a personal flight BKK-BNE-BKK in June 2019. Only four TG flights per week. Sydney flights too remain limited. The promised continuation of the short-lived B787 BKK-BNE-BKK service has also long-since been broken. Two return trips on the same run, in October and December 2018, were on an ancient 200 series B777 - with woeful business class seats - and that's all that appears to be assigned on the Brisbane run for the foreseeable future. TG is going downhill fast, perhaps partly due to the RR Trent problem, but primarily caused by endemic mismanagement and entrenched 'locally accepted' revenue-busting practices, such as filling up the business and first class cabins with non-paying pax. 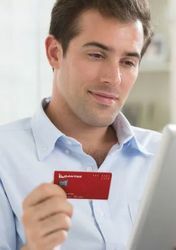 There also appears to be a rising disregard for frequent flyers - loyalty program upgrade rewards are becoming more difficult to get. I usually do this run with Thai 3 - 4 times per year, mainly because TG is the only direct service. Maybe it's time to change to SQ, and tolerate the transit in Singapore (which is a heck of a lot better than a transit in Sydney), get better a much better lounge in BKK, and board/disembark on all occasions via an aerobridge instead of the damned TG bus. 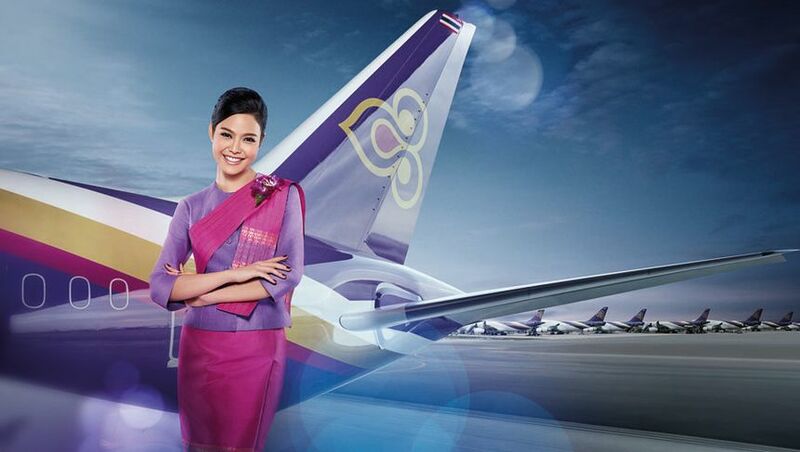 Comment on "Thai Airways dials back Sydney, Melbourne, Brisbane flights"